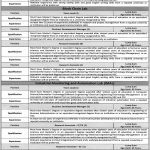 University Of Veterinary And Animal Sciences Lahore Pakistan situation vacant.applicant must be Pakistani nationality holder.who are not married to a foreign national for making appointment on the following posts in university. 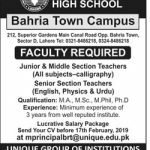 Unique High School Bahria Town Campus Required Faculty For All Subjects English ,Physics And Urdu. 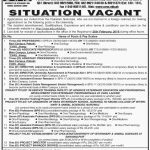 Kinnaried college for women invites applications from bright motivational and active candidates for the following posts. 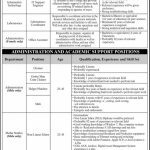 Applications Are Invited From Punjab Domical Studied Male And Female On Prescribe Performer. 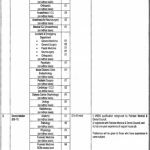 Which Can Be Obtained From The Office Of The Principle. 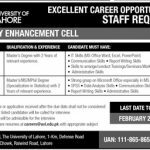 The University Of Lahore Jobs Recently announced non official jobs. we are looking for experienced male/female teachers who may take up challenging positions of teaching and grooming young minds.the applications are invited for following posts against attractive salary package. 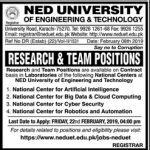 Information Technology University requires the services of qualified ,energetic and self-motivated candidates candidates on contract basis for its HEC funded Research labs.